Friends of Nikki Mitchell Foundation hosted the “Outlaw Country Jam” at the Pendleton County Fairgrounds in Falmouth, Kentucky on August 19th. 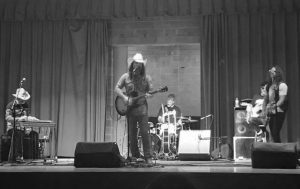 Those performing included Chris Hennessee with some members from the Jamey Johnson band, Brothersmith and young local talent Ashley Cooper. The day had beautiful weather at the outdoor event and a large crowd attended. The show was sponsored by Melinda’s Wholesale Primitives, Cooper Funeral Home, R & R Roofing, Utz Plumbing, Dales Hauling, The Smoking Pig, Donald Wells Attorney, Johnson Heating & Cooling, Chucks Auto Body, Sunrise Corp., David Dunaway Auction, O’Hara Trucking and Precision Pressure.